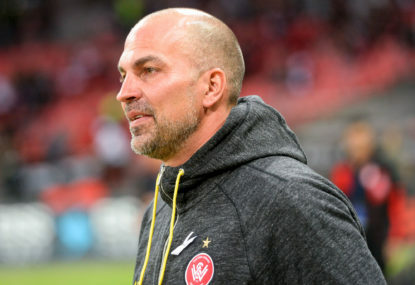 Western Sydney Wanderers coach Markus Babbel is having a tough time inspiring his players, but this might say more about the difficulty of coaching in the A-League than an entire generation of players. The Wanderers did not get hammered 5-1 by the Newcastle Jets because of a generational issue. The Wanderers lost because experienced players like Brendan Hammill and Raul Llorente made inexplicable mistakes, because Dimi Petratos was allowed to take three touches in the box before dispatching a brilliant finish into the top-corner and because their defenders continued to give away cheap fouls in terrible positions. 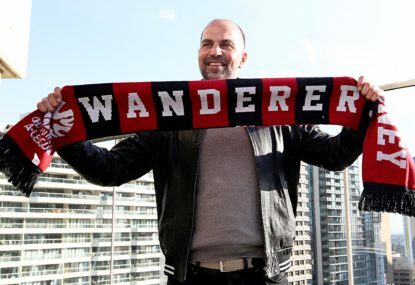 The Wanderers lost because their team, which featured players as old as 32, played without discipline, without structure and without the ability to get basic passes right. 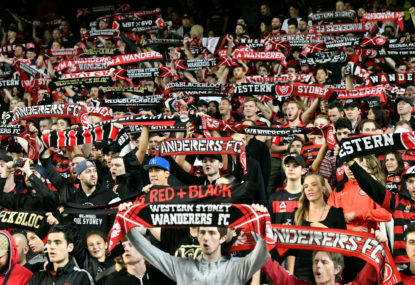 To suggest that the biggest issue at the Wanderers is a generational issue is not just a cop-out, it’s factually wrong. The average age of the Wanderers starting XI on Friday night was 25-years-old and featured four players over the age of 30. In fact, it is Babbel’s continued reliance on some of the squad’s more experienced players who continue to disappoint, like Llorente, Hammill, Oriel Riera and Vedran Janjetovic which has proven one of the biggest contributors to the Wanderers’ disappointing season. Babbel arrived on Australian shores to much hype and expectation. As a player, he won four Bundesliga titles, two UEFA Cups and a UEFA European championship, amongst other titles. As a coach, he has managed in the UEFA Champions League and won a league title in Germany’s second division. There’s absolutely no doubting that the German brings serious footballing pedigree and knowledge to Australian football, but perhaps Babbel needs to look closer to home when trying to understand why his team has been one of the most disappointing in the competition this season. Coming from abroad to coach in the A-League is no easy task and one wonders if Babbel failed to appreciate some of the cultural differences between Australia and the rest of the footballing world. The combination of salary caps, marquees, foreign player quotas and the inability to transfer players between A-League clubs is enough to make most Aussie heads spin, much less that of a man who has spent the last 27 years of his life at the top of European football. Nevertheless, one would have expected a manager of his pedigree and experience would have done a much better job of communicating his philosophy and principles to his players. 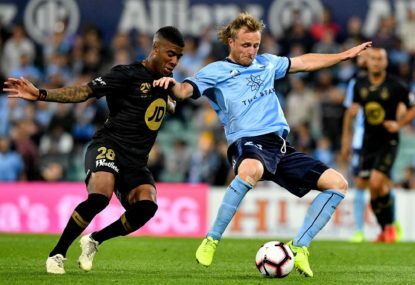 The Wanderers have looked incredibly disjointed throughout the campaign, rarely stringing together any more than 20 minutes of good play at a time. The midfield, in particular, looks out of sync with the rest of the team. There is little in the way of any meaningful interplay between the midfield and forward lines, while an already fragile defence seems constantly exposed by a lack of structure higher up the pitch. These issues have only been compounded by regular individual errors. 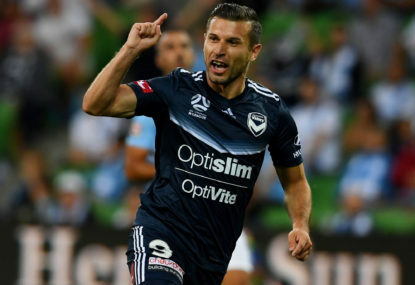 There was a comedy reel of them on Friday night against the Jets, despite a promising start from the team and any semblance of structure and discipline disappeared once the Wanderers found themselves 2-0 down. It’s clear that the Wanderers have an issue with discipline, if not in terms of fouls, yellow cards and dismissals, then certainly in terms of commitment and positioning – but this is far from an issue with the team’s up-and-coming players. Veteran keeper Janjetovic has perhaps been the worst offender, consistently costing his team by abandoning his goal line for desperate and hopeless rushing out, while Llorente – another experienced campaigner – has also failed to lead by example with a number of poor performances. Somehow, they continue to be picked, rather than trying something different and promoting fresh, young talent from within. It is worth noting that Babbel’s complaints about the new generation of footballers is nothing new. In recent times, established managers like Jose Mourinho and Roy Keane have made similar complaints. Perhaps, if there is a generational gap, it is from a bygone era where macho men dominated dressing rooms and the coaches and captains who shouted the loudest and berated the most team-mates commanded authority over their players or team-mates with an iron fist. There’s no doubting a generational shift is occurring in football across the globe, but it is up to the managers of those players to move with the times. Keane has failed miserably in that respect, while Mourinho recently came undone at Manchester United for failing to find a new way to communicate with and command respect from his players. If Babbel cannot find a way to get through to his team-mates, then he may just end up joining Mourinho on the hunt for a new job.